A new report suggests the number of cell sites needed for 5G wireless may not be as high as previously thought. According to ABI Research, nearly 20 countries have made regulatory announcements pushing for the use of 3.4-3.8 GHz bands with the 2019 launch of commercial 5G. The lower bands can transmit further than the higher frequencies previously used by companies with 5G spectrum plans, which may reduce the facility densification needed to support 5G. FCC Chairman Ajit Pai on Tuesday defended his Net Neutrality proposal at an event organized by the conservative think tank, R Street Institute, and technologists community, Lincoln Network. The “Restoring Internet Freedom” order would undo the 2015 change that re-classified the internet as a utility so ISPs must treat all internet traffic the same, with no fast or slow speed lanes. The upshot of that change, Pai said, has meant more regulatory burdens for smaller ISPs that cancel, curtail or delay fiber network upgrades. Nearly two dozen small providers submitted a letter saying the FCC’s “heavy-handed rules ‘affect our ability to find financing.’” A coalition of 19 municipal internet service providers—city-owned nonprofits—told the FCC that they, “often delay or hold off from rolling out a new feature or service because [they] cannot afford to deal with a potential complaint and enforcement action,” he said. The FCC adopted an order six years ago designed to equalize the regulated rates paid by telecom providers to attach equipment to utility poles. That has not panned out. In fact, a USTelecom survey about pole attachment rates charged by Investor Owned Utilities (IOUs) points out the opposite. The results show rates charged to Incumbent Local Exchange Carriers (ILECs) have increased even as the pole attachment rates charged by ILECs to competitive carriers and cable companies have significantly decreased. USTelecom urges the Commission to move forward with its proposal to create a presumption that ILECs are entitled to competitively neutral rates when attaching to investor-owned utility (IOU) poles. “We are getting government out of the business of regulating how the internet works, and we’re going to return to the market-based approach that served us well for two decades, and we’re going to let this online platform be governed by engineers and entrepreneurs instead of bureaucrats and lawyers here in Washington,” he told Fox News. A group of 21 rural telecom providers urged the FCC to help close the digital divide by adopting light-touch regulations that provide companies confidence to invest in network upgrades and expansions that can help close the digital divide between urban and rural households. The nation needs more spectrum and wireless infrastructure to support the data needs of 5G, according to Wireless Infrastructure Association President/CEO Jonathan Adelstein. “The massive growth in the number of connected devices will strain the capabilities of the infrastructure we have today,” he told members of the House Communications Subcommittee Thursday in a hearing on 5G. Others who testified included David Broecker, CEO of Indiana Biosciences Research Institute, Dr. Coleman Bazelon, Principal, The Brattle Group and Chris Pearson, President, 5G Americas. “Supporting the demand for more infrastructure will require major investments. We need additional cell towers and poles and more antennas of all types and sizes that attach to structures of all sizes,” he testified. Locating where someone is when they call 911 using a wireless phone inside a building has taken a step forward. The FCC has approved a privacy and security plan for the National Emergency Address Database (NEAD) submitted by AT&T, Sprint, T-Mobile and NEAD, LLC. The database will enable carriers to use the media access control (MAC) address and Bluetooth Public Device Addresses (BT-PDA) information of fixed indoor access points to locate wireless devices being used to call 911. Carriers have been working on technology to support the provision of dispatchable location information (such as street address, floor level, and office or apartment number) to Public Safety Answering Points (PSAPs) when indoor wireless customers place 911 calls. 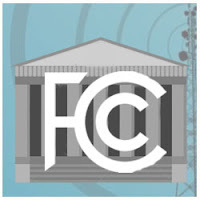 The database must be used only for 911 location and the FCC prohibited its use for commercial purposes. National Association of Tower Erectors (NATE) representatives came to Washington, D.C. recently to lobby Congress, the FCC and other government agencies. Inside Towers Washington Bureau Chief Leslie Stimson sat down with the six members of their lobbying team to discuss NATE’s regulatory priorities and get a sense of their 30 meetings. Sitting at the table were: NATE Board Director John Paul Jones, Board Chairman Jim Tracy, COO Paula Nurnberg, Board Director Randy Scott, Executive Director Todd Schlekeway and Director of Legislative and Regulatory Affairs Jim Goldwater. IT: Why did you come to Washington? Tracy: We came here to explain our legislative and regulatory priorities, to members of Congress and their staff. At the end of the day we might do towers, we might do certifications, antenna swaps, new builds, DAS, small cell — all of the incredibly complex ecosystem that wireless has become, but we’re still the “elevate wireless safety people.” We elevate wireless and it’s safety first, safety always. IT: Is it new to the people you’re meeting with that there aren’t enough workers to do the television repack work? AT&T, Verizon and Tillman Infrastructure said they’ve reached a deal to build “hundreds” of cell towers, in an arrangement the parties say is more cost-effective than traditional tower lease deals. Tillman owns and operates macro towers, small cells and smart cities infrastructure; it will build these towers to suit. AT&T and Verizon will lease the towers that will be co-located and co-anchored by the two carriers. Construction is slated to begin in the first quarter of 2018. The FCC’s Broadband Deployment Advisory Committee is closer to issuing recommendations to the FCC on how to reduce several types of regulatory barriers to broadband infrastructure deployment. The advisory group approved several draft recommendations at its third meeting of the year last Thursday and they plan to approve final recommendations at the next meeting on January 22 and 23, 2018. FCC Chairman Ajit Pai traveled to a mountaintop tower in eastern Puerto Rico this week to get a first-hand view of recovery efforts and damage caused by Hurricane Maria. He met with government officials and communications company representatives to learn what still needs to be done to restore communications. Pai met personnel from carriers AT&T, Open Mobile, T-Mobile and Verizon as well as fixed wireless providers Aeronet and Neptuno Networks; wired providers like Claro/PRTC and Liberty and several radio broadcasters. “They have stepped up to the plate, working overtime to connect the disconnected,” he said. T-Mobile (NASDAQ: TMUS) and Sprint (NYSE: S) jointly said they ended talks to merge as the companies were unable to find mutually agreeable terms. Sprint stock hit a new annual low of $5.81 this morning, and was last seen down 11.5 percent in its five day average as of close of business yesterday, after the telecom called off its merger with T-Mobile on Saturday. Masayoshi Son, CEO of Sprint parent Softbank, is confident Sprint can grow independently, but said the company would still consider a merger if its management rights are preserved. During the infernos that blazed through Northern California in October, large areas of the region lost cell phone coverage and internet connectivity in the first few hours of the disaster, as Verizon and Comcast networks took a big hit. As the fires continued to rage on, as many as 77 towers were taken off the grid, despite swift reaction times from the providers, reported The Healdsburg Tribune. Even though Comcast and Verizon services were back up and running by October 10 and 11, respectively, there were still safety challenges for residents and emergency workers due to loss of connectivity. During the fires, some emergency personnel used landlines to communicate since Verizon cell coverage was lacking. The Town of Windsor, for example, has 1,600 Verizon devices, including cell phones, tablets, and computers, according to County spokesman Scott Alonso. Time Warner shares fell Thursday after a newspaper reported that the Department of Justice is considering an antitrust lawsuit to block AT&T’s acquisition of the media giant, according to a Wall Street Journal report yesterday. Time Warner share price was down 4.1 percent after the Journal reported the department’s antitrust division is preparing for litigation in case it decides to sue to block the deal. At the same time, the department and the two companies are discussing possible terms that would allow the deal to receive the government’s approval, the Journal reported, citing people familiar with the matter. AT&T representatives have met with Justice officials in recent weeks, and the department hasn’t made a final decision, but the two sides aren’t close to an agreement, the Journal’s sources said. FirstNet’s Mike Poth (left), NH’s John Stevens. Photos by Leslie Stimson, Inside Towers.